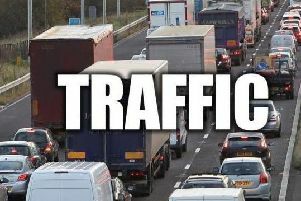 Four miles of queuing traffic is being reported don the A1 this morning due to an accident. A lane is closed on the northbound following the crash near to Darrington Service Station. Miles of traffic is being reported. It was first reported at 8.42am and drivers are being urged to avoid the road if possible.